The truck, driven by a Strong resident, was demolished. 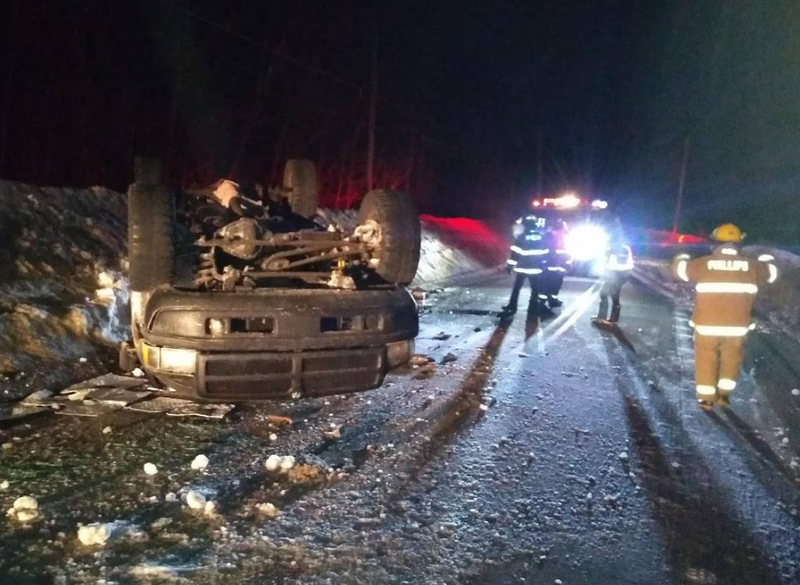 AVON — A pickup truck driven by a woman from Strong hit ice early Thursday and rolled over on River Road, according to State Trooper Jillian Monahan. Driver Simone Bailey, 74, and her grandson, Dakota Bailey, 20, were not injured in the 3 a.m. accident, Monahan said. A town highway truck was called to sand the road, she said. The 1998 Dodge Ram was destroyed.